We set out to write a memorial song for Fudge, a beautiful, gentle, intelligent family dog who was held under BSL for almost a year and then destroyed by the authorities in Merseyside. As I started writing the lyrics, I was compelled to change direction and express another side of BSL - the human sorrow, the anger, the harrowing suffering. 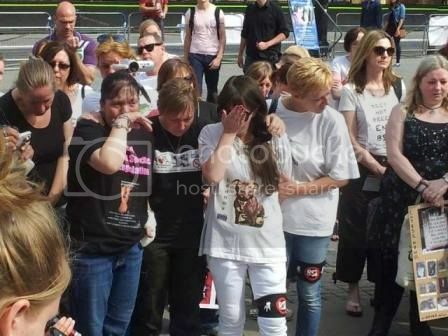 For those who have been dragged through this legislation and whose dogs have not come home, the wounds are deep and they may never heal. So, this song is for all of the people carrying the immense pain of loss in their hearts for their four legged family members taken by BSL. 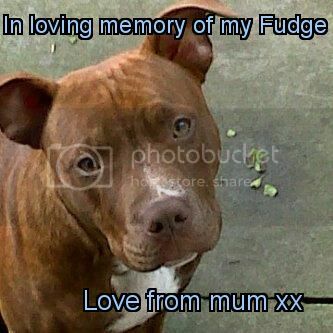 Fudge was by his mum's side constantly from a pup until the day he was seized and later killed. He never put a paw wrong but he never reached his 3rd birthday, struck down in the prime of his young, happy life, he was destroyed for no other reason than the way he looked. His mum was his guardian, his carer, his defender and his best friend and Fudge was loyal, gentle and he loved his mum more than anything else in the world. They used to watch TV together and his passing has left a void of loneliness and the question, why? 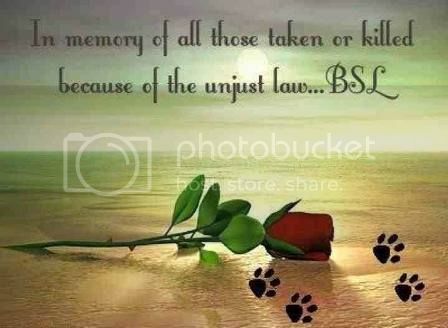 I hope this song helps to convey to others the hurt caused to human beings when a dog is killed under BSL. The only way to heal the hate inside the political system is to educate and eradicate fear so that we may end this cruel, destructive and pointless law once and for all.